MTK-F19 is the card issuing machine designed for postcards, lottery tickets or other special cards of 120x100mm. 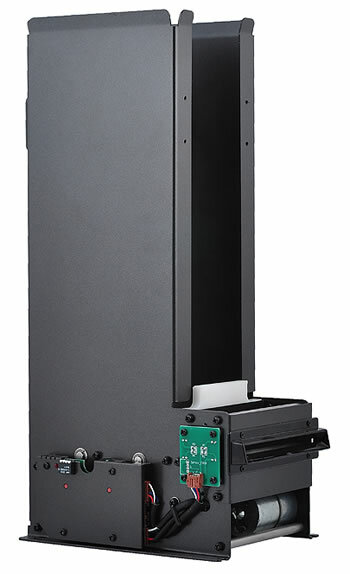 With pre-issuing function, the machine features high dispensing speed of 1~2sec per card. The card thickness is adjustable from 0.5mm to 3.0mm. And stackable card holder can be hold up to 500 pcs 0.5mm cards.